A.Lange & Sohne - Lange & Sohne Langematik Anniversary. The most attractive to date? 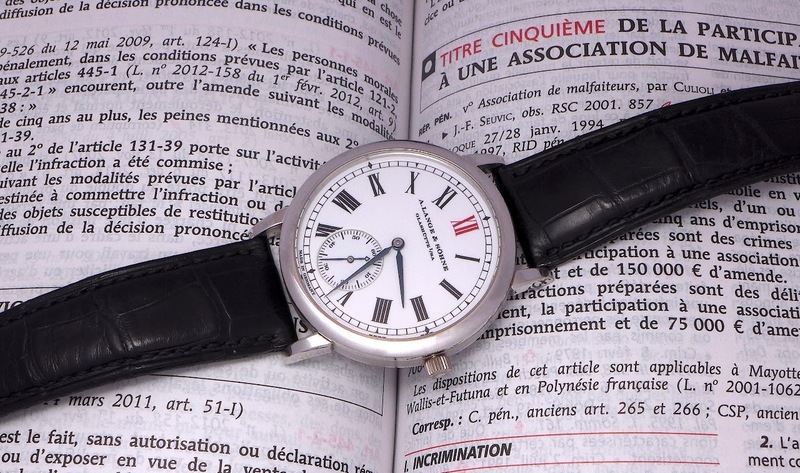 Lange & Sohne Langematik Anniversary. The most attractive to date? Platinum Case + Enamel Dial=my favorite combination. Let's see what Lange will show, this year, as it seems it will be an Anniversary year, with many " gifts ". Such an iconic watch. And your shots truly reveal its beauty, Nico! décides to match the disc color to the dial...then empty date slot might not look so odd ! but this one I would love to own. Yours will find its way home where it belongs.